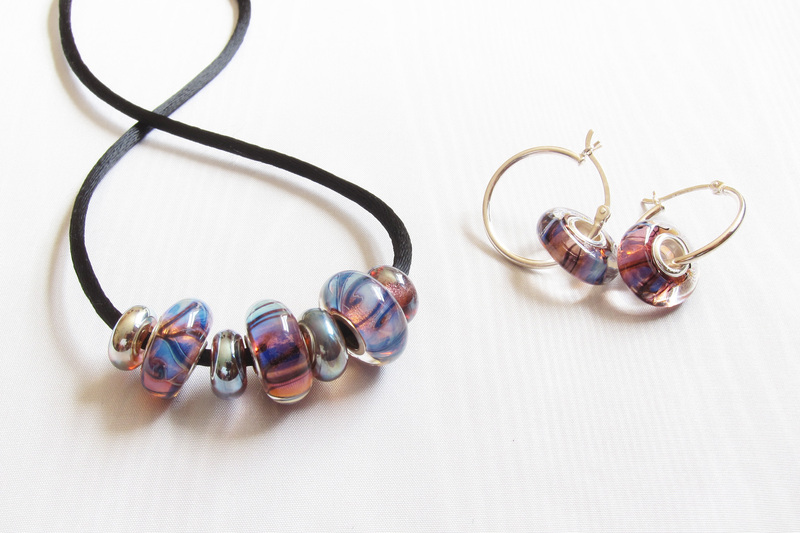 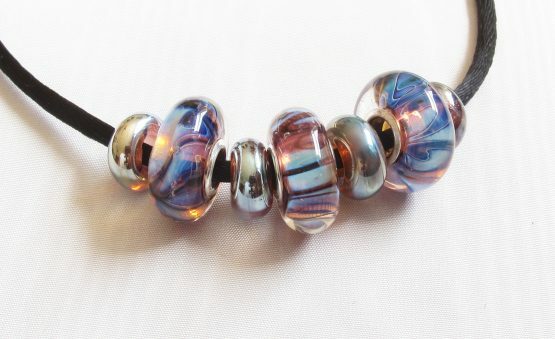 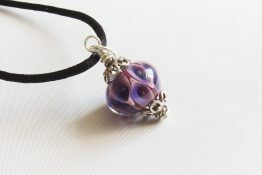 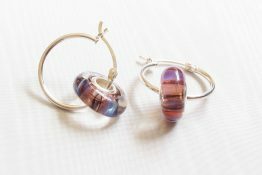 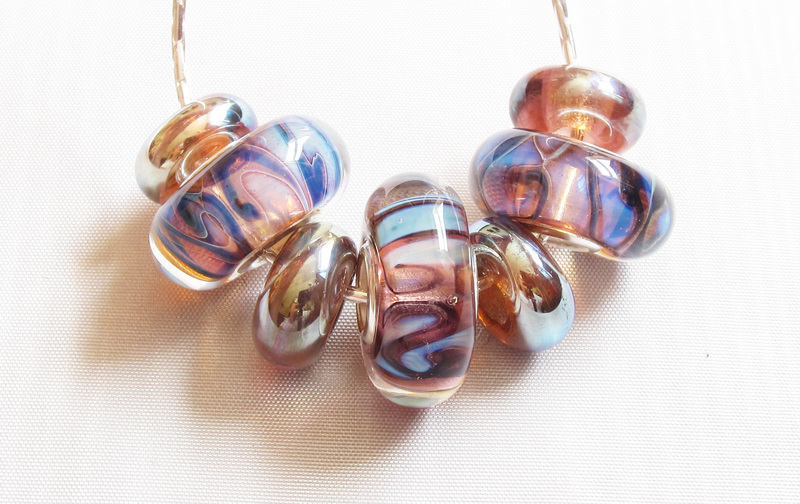 Shades of pink shimmer through these purple blue translucent beads. 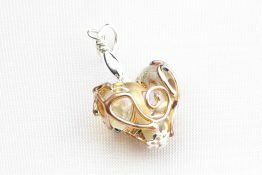 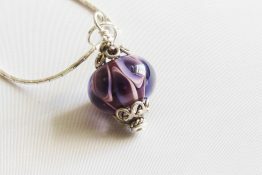 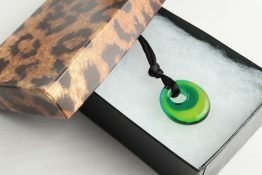 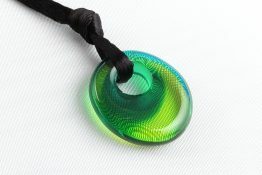 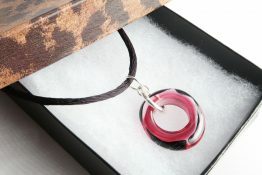 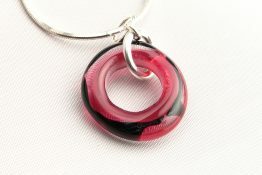 With a sterling silver core, they slide on either a shiny sterling silver chain or a black satin cord. 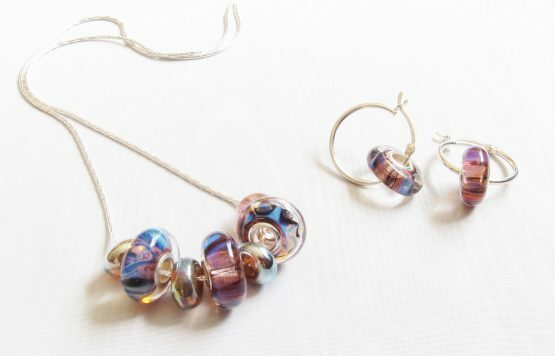 Shown with matching earrings available here.